The Smart Rowing program has been developed to improve performance and reduce the risk of injuries of rowers of all levels and ages. Using video analysis, we assess rowing technique on the Concept II Ergo and conduct a thorough musculoskeletal assessment. 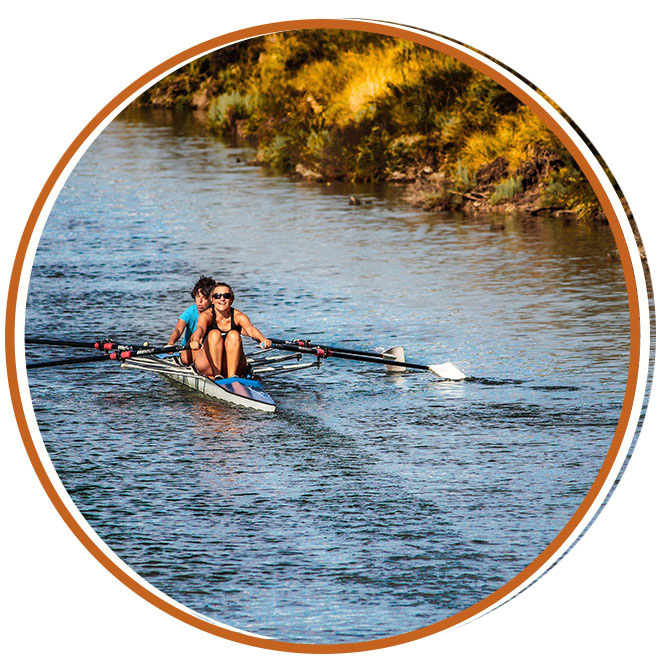 We offer comprehensive services for rowers to improve their technique and performance while reducing their risk of injury. Smart Rowing aims to teach rowers management strategies and easy to implement exercise routines to prepare their bodies for the demands of the sport. Our Smart Rowing assessment and treatment team is lead by exercise scientist Jo Francou. Jo trained at an elite level for over 10 years at the South Australian Sports Institute representing Australia as a lightweight at International U23, world cup and world championship regattas. Jo’s experience in rowing was the driving force to her becoming a Sports Scientist and Pilates practitioner and has lead to her dedication to help rowers build stronger more resilient bodies. We are confident that you will feel you have made the right decision in making Smart Health Training & Services part of ‘your health care team’! Open 6 days.